Have you forgotten your First Bank account number? or you are just in a dire need to use your First bank account number but you don't know the code for checking it. Well, this post has got you covered with the first bank account number check code *894#. What is the *894# all about? 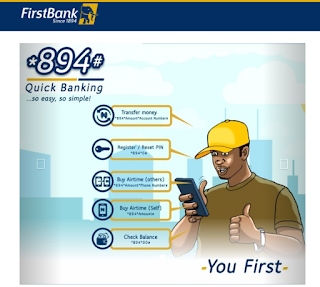 The *894# is for First Bank customers who want fast and easy access to carrying out some banking transactions from the comfort of wherever they are. Transactions you can carry out via this code include airtime purchase, money transfer to First Bank and non-First Bank accounts, balance inquiry and so on. Your First Bank account number should now be displayed on your screen. 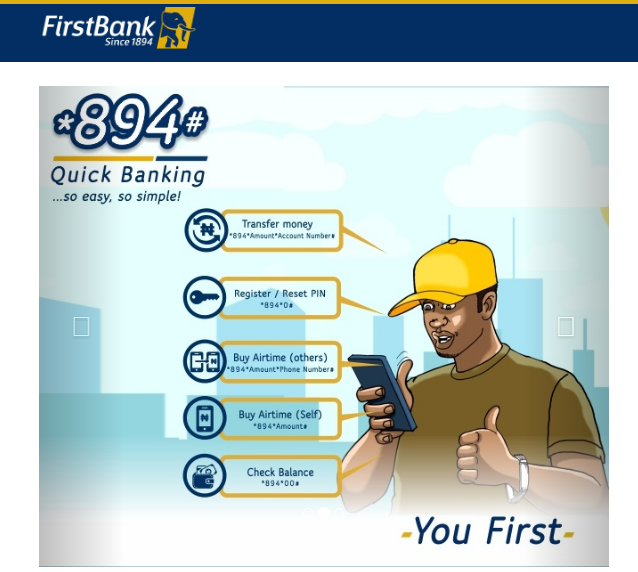 Make sure you dial the code on the phone number that is associated with your account with First Bank. IF you have the above requirements handy, let's roll! Dial *894*0# from your registered Phone number. Choose your preferred debit card from on-screen prompt. Lastly, you will be asked to enter your 5-digit PIN to authenticate all the transactions you will be doing via the platform. Now that you have activated the *894# service on your First Bank account, you can now dial *894*00# to check your First Bank Account number without stress.